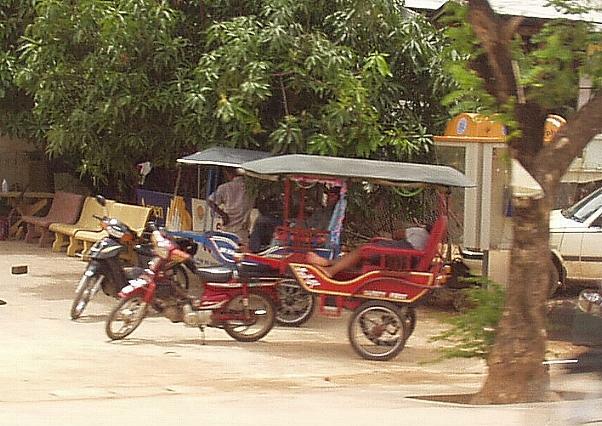 We present in this album several photos of various means of transportation we observed in the Siem Reap/Angkor Wat area. 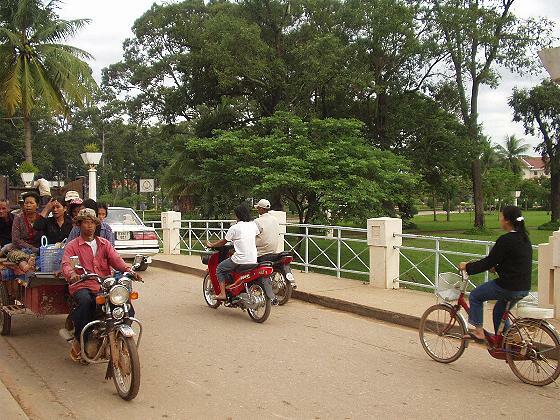 We hope you in the West view these images as we did - not as being humorous examples of "backwardness" or of being less developed - but as examples of moving people and products efficiently without gross waste. 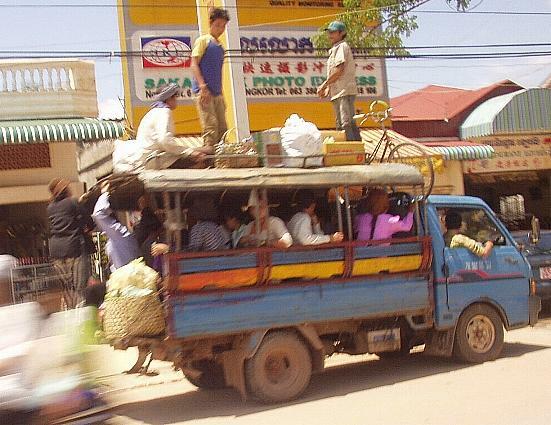 We returned to the U.S. after our time in Southeast Asia, and were sadly impressed with the contrast of how wasteful our country is regarding transportation. 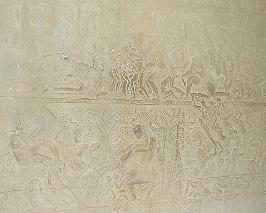 It is common to see an American lady driving to get her hair done in a huge, gas-guzzling S.U.V., or a single man commuting many miles to work in a one-ton, four wheel drive pickup with no cargo other than his Star Buck's coffee cup. 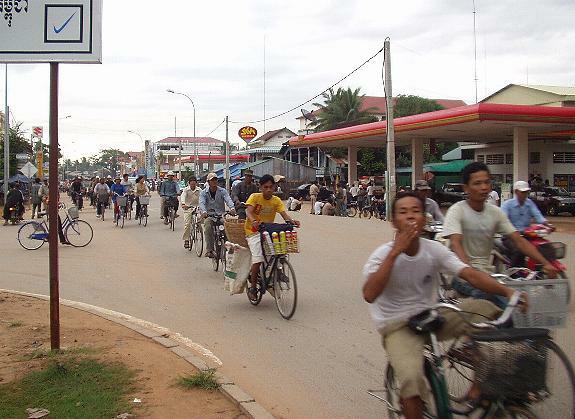 One of the first things we noticed in Cambodia is the higher percentage of bicycles in use compared to Thailand. 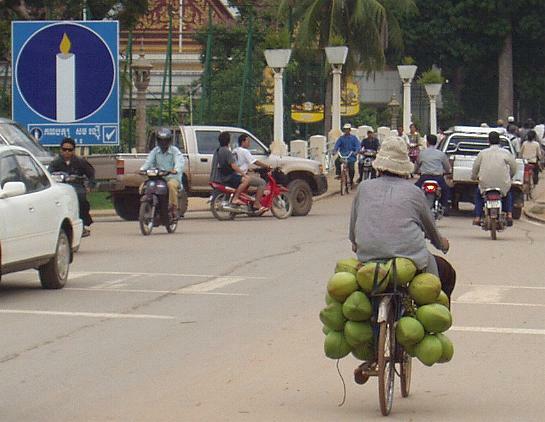 Here pedal power moves many people as well as merchandise & farm products, like this load of coconuts. 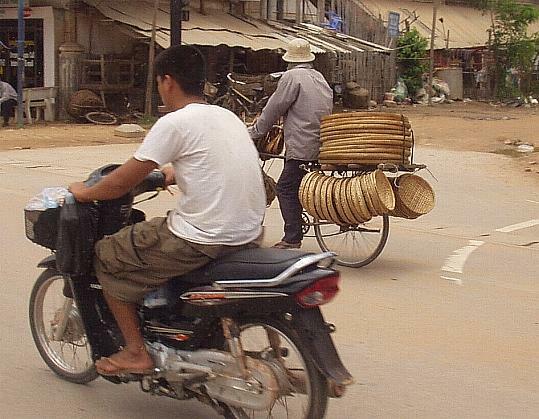 Many baskets & woven trays can be carried on the back of one bike. 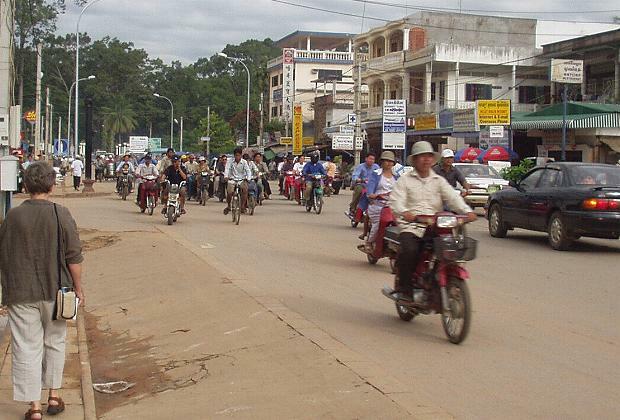 Here we see more people going to work or school on smaller motorcycles than cars or bicycles. 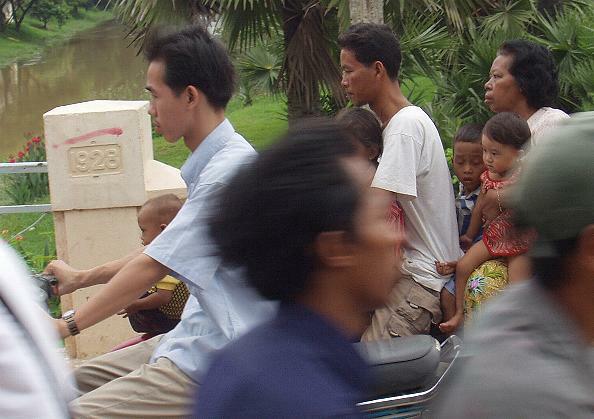 And, like Thailand, it is very common to see many on one motorbike, like the couple in the background also carrying 3 children. Here a sleeping child is wedged between mom & dad. 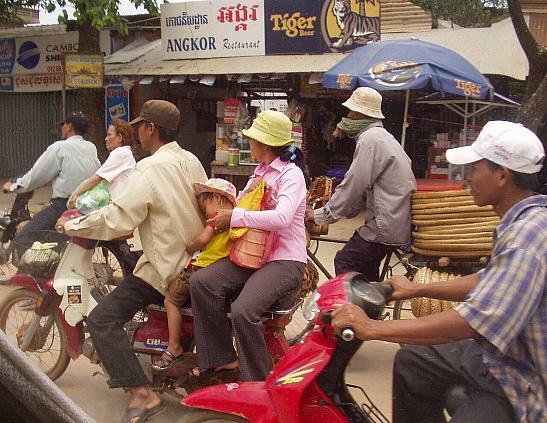 A large basket on the back can carry much on these lightweight cycles. 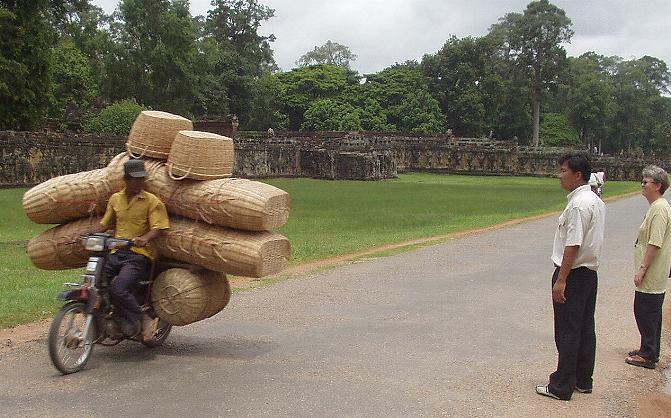 Sometimes the load looks larger than the bike & driver - sometimes it is! 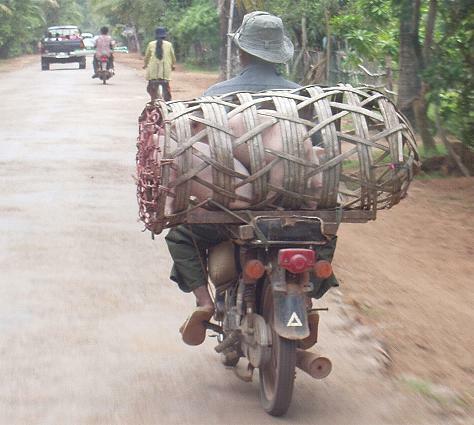 Three live piglets & a bag of feed is easily transported by this farmer. 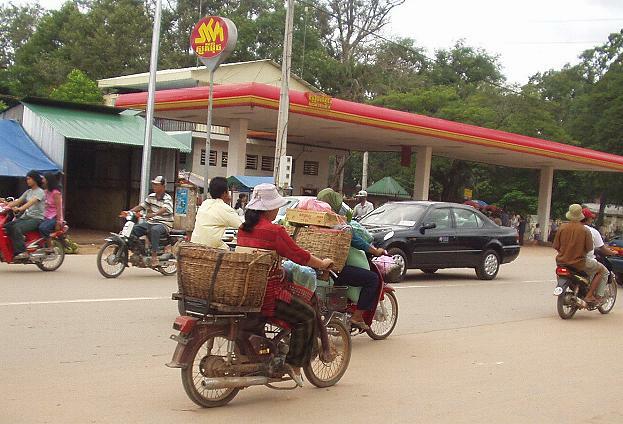 In addition to a bike & motorcycles, here we see a group being carried on a motorcycle trailer. 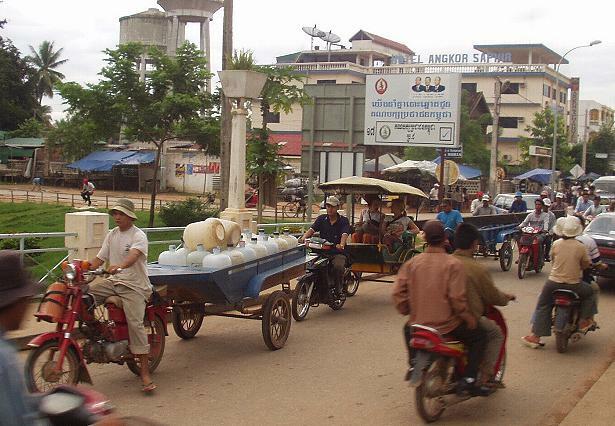 Here we see 3 different "motor trailers" carrying different kinds of loads. 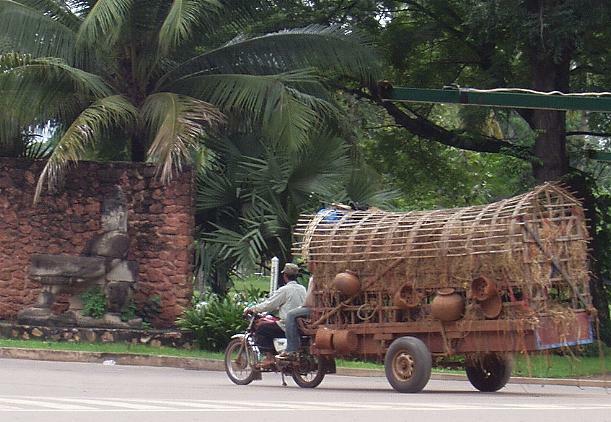 Here is a close-up view of one of these little work horses rigged with the trailer hitch to pull these trailers. 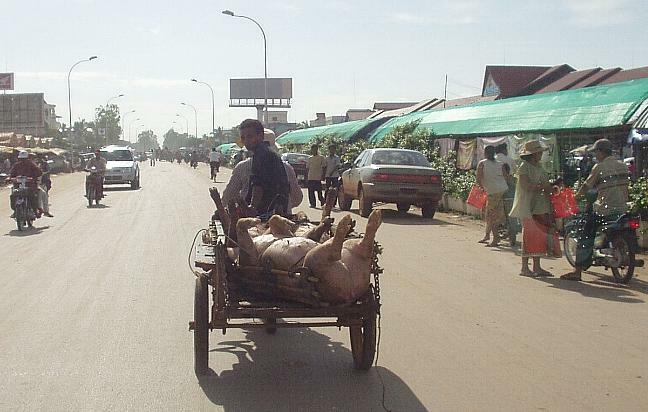 Two large hogs & a passenger are pulled by this rig. The motorcycle here is dwarfed by this large trailer. 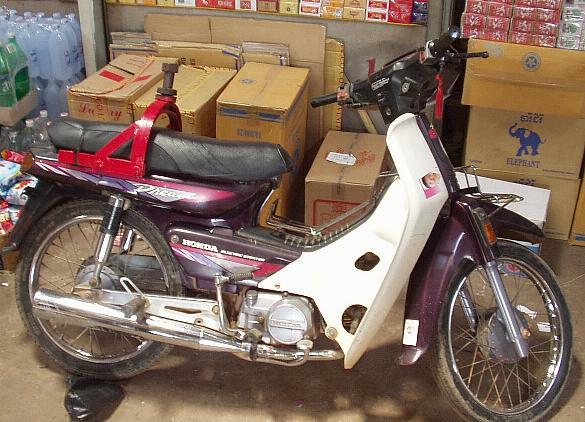 Two workers & a large load are being moved by this small bike. 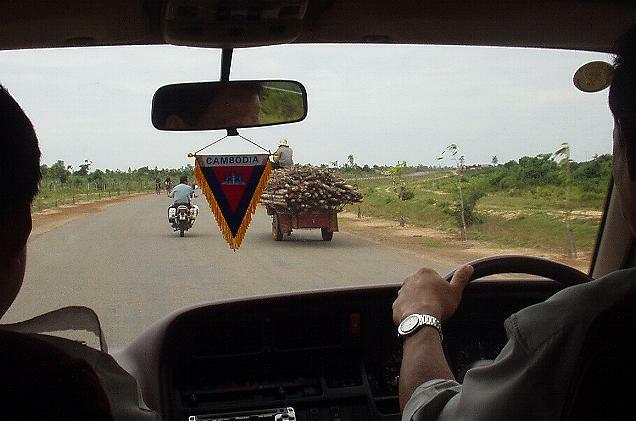 A large load of wooden poles & an extra worker is in front of us here. 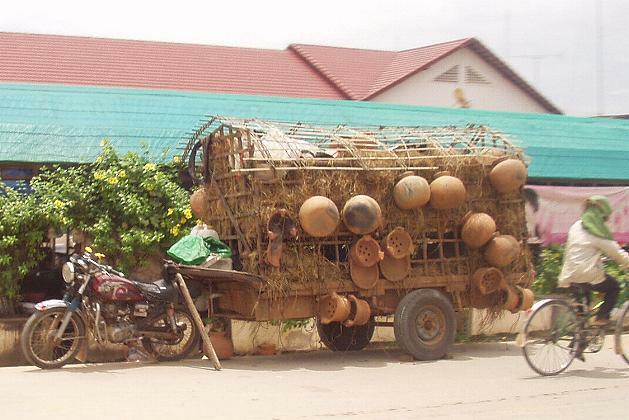 Another huge load for a small motorcycle. Six workers & their tools go to the job on this rig. 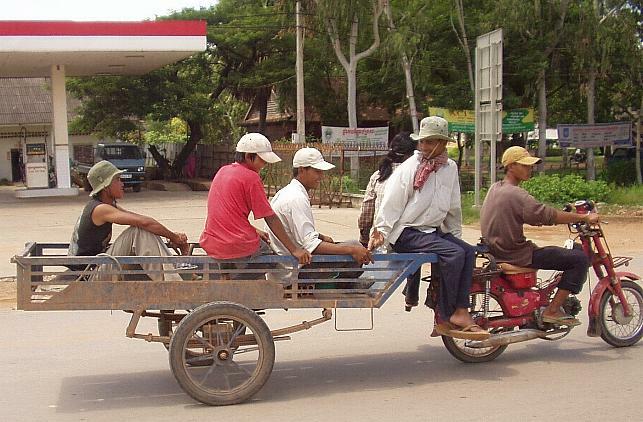 Cambodia's version of the people carrying tuk-tuk. 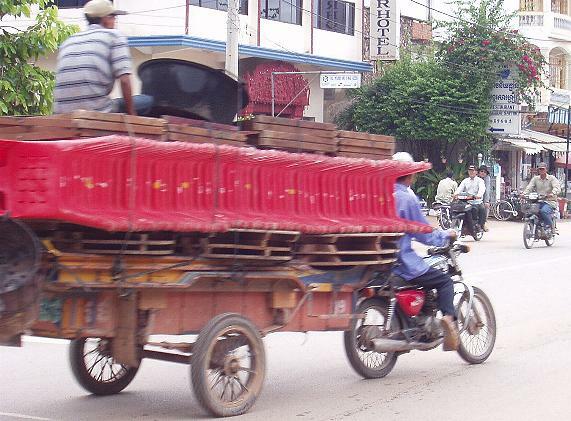 Of course larger vehicles are used, but usually carry very full loads. 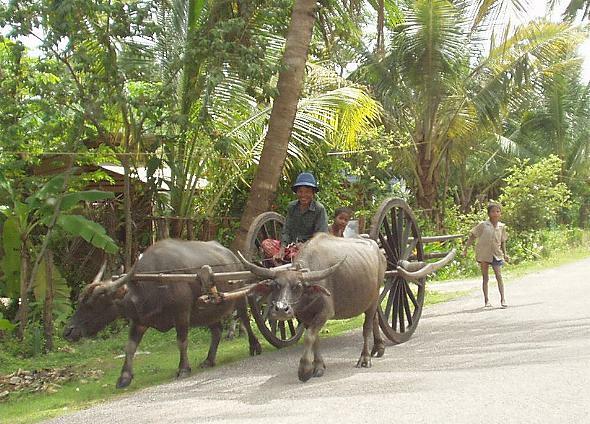 Out in the countryside the classic water buffalo is still dependable transportation.